Since I wrote A New Routine, I’ve been thinking about some of the strategies our family and therapists used in dealing with cognitive issues. Use normal tone of voice, staying calm and reassuring. Talk to the person as if they understand everything you’re saying. Never discuss subjects that may be upsetting in front of the person. Keep comments and questions short and simple. Let them know what you’re going to do before you do it. Allow the person extra time to respond. It’s okay if responses are inconsistent or don’t occur. Have only one person speak at a time. Tell the person who you are if you’re not sure they know. Remind the person of the day, date, name and location of where they are. If they’re in the hospital, bring favorite belongings, pictures of family members and friends. Read familiar books and magazines to them. Watch their favorite TV shows or movies. Talk to them about family, friends and activities they previously enjoyed. Keep a notebook nearby for family and friends to sign so the person can read and remember who visited. If they can’t read, you can use it to remind them of who had been there. Write down improvements so they can read it or you can remind them of the changes. Don’t assume the person will remember what you tell them. Frequent repetition is often required. Gently massage lotion on their arms, hands, legs, feet, face, back and stomach. It also helps prevent skin breakdown. Use a variety of soaps and lotions to stimulate smell. Talk about what they smell like. Make sure they are getting the rest they need. Keep the room calm and quiet. Limit the number of visitors to two or three at a time. Allow them to move as much as safely possible. Moving them to a different location might help. Take them for a ride if permitted. Don’t force the person into activities. Listen to them and follow their lead if safely possible. Don’t laugh at, play into or reward inappropriate behavior. If reasoning is not successful, try redirection and distraction to stop inappropriate behavior. Tell them where they are and reassure them they are safe. Help the person get organized for tasks and activities. Be careful with humor, teasing, or using slang. Sometimes it works and other times it’s misunderstood. Expect the person to be unaware of their deficits and the need for increased supervision and/or rehabilitation. They may insist nothing is wrong with them and that they can resume their usual activities. Realize that redirection is not always effective and arguments can be frequent and prolonged. Encourage the person to participate in activities. Help with starting and continuing. Treat the person with respect while providing guidance and assistance in decision making. Talk through problems about the person’s thinking skills, problem solving or memory challenges without criticizing. Encourage the person to improve cognitive skills with games and/or therapy. Check with the physician regarding any restrictions such as driving, sports or drinking. Let them be the bad guy. Encourage the person to use note taking and recorders to help with memory deficits. Discuss situations where the person may have had difficulty controlling emotions. Talk with the person about yours and their feelings and offer outside support such as counseling and/or support groups. 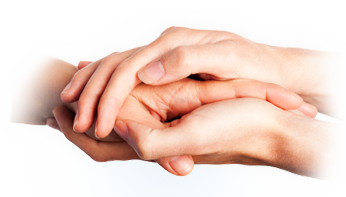 Make sure you have the help, support and respite care you need. What ideas can you add to this list? Please share what has or hasn’t worked for you. It’s good to look to the past and gain appreciation for what we have in the present. This also gives perspective for the future. If the pioneers or forefathers didn’t write about their experiences, we wouldn’t have records of it. How could we have learned from them if they didn’t share their thoughts and events through their writing? As a teenager I faithfully kept a journal and found it helped me understand my roller-coaster feelings of the love/hate relationships between young boys and girls. A few years ago I read it and didn’t want anyone else to know those inner feelings, so I decided to destroy it. Even though that journal no longer exists, I believe it helped me navigate through some rough teenage years. After the car accident I felt the need to write again. My head was spinning with all kinds of worries about Mark, our children and how I would juggle all the responsibilities. My attention span was very short. I couldn’t watch T.V. or concentrate on a book—so I wrote. I would maybe write a few sentences about my worries, but mostly I recorded Mark’s progress such as how many breaths he took on his own that day and what his temperature was. I wrote about things most people don’t think about let alone write or read about, but it helped me focus on the positive. I still have that notebook and like to look back on it to remind myself how far Mark has come. The past nine months I’ve benefited from writing about “Our Story”. Putting words to our experience brings meaning to it and helps me understand the purpose in the events. It’s amazing the clarity that comes from writing. Through writing I am able to sort out and work through the emotions by searching for the right words to describe it. 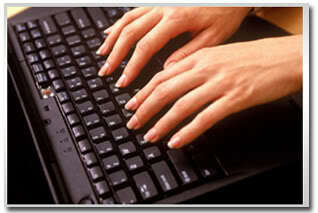 The act of writing has provided me with a greater depth of self-knowledge and has helped me become a resilient person. Some seek the comfort of a therapist’s office, I find it in writing. Writing is a powerful teacher that can guide us toward a happier, more contented and positive purpose-driven life. Writing promotes self-awareness and personal growth. Writing enhances knowledge, which guides us towards realizing our truth and values. Writing is a support system which creates confidence in our own unique style. With thought and purpose to what we’re writing, it can be done without apology. Writing can educate, inspire, influence and help others. Writing is like a sieve, separating worries and insecurities. It compels us to do the daunting task of confronting them, which facilitates in understanding them. Ultimately the words help us leave our fears behind. Do you write? How has it helped you? If you don’t, you really ought to try it. Whether you write it for yourself or want to share it with others, it will be therapeutic. I dare you to try it. 1) If it feels wrong, don’t do it. Usually, when I do something which doesn’t feel right it ends up being a disaster. 2) Say “exactly” what you mean. Communication can be frustrating and sometimes I wondered why the other person didn’t understand what I meant to say. When I analyze what was actually said, I realize I didn’t use the proper words or maybe I was trying to sugar coat it or danced around the meaning, which left a false impression. Other times I just didn’t know exactly what was meant until the conversation was over. 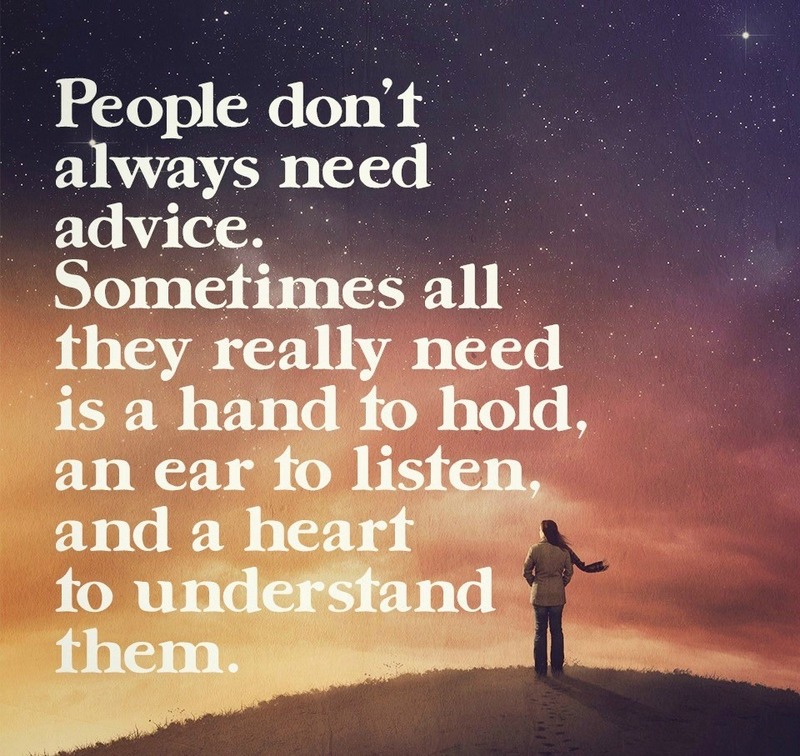 Maybe those are the times it’s best to be quiet and just listen to the other person. 3) Don’t be a people pleaser. It is enjoyable to please others, but when words are just said and not heartfelt, it’s lost pleasure and becomes bothersome. When you hear “we should get together sometime” or “let’s do lunch” from the same person every time you run into them, it’s lost its meaning. 4) Trust your instincts. Remembering this can save grief and regret later on. My best results come when I listen to the inner voice and trust my instincts. 5) Never speak badly about yourself. Sometimes I do this in an attempt to be humble, but it doesn’t build self-character. On the other hand, when I hear someone else doing this I feel uncomfortable and don’t know how to respond, wondering if they’re looking for compliments or sympathy. 6) Never give up on your dreams. I feel uncomfortable using the word never, however it’s true that if you don’t dream it, you won’t achieve it. Some dreams just need adjustments along the way while achieving them. 7) Don’t be afraid to say “No”. It’s not possible to do everything, therefore saying no is better than saying yes and not doing it. 8) Don’t be afraid to say “Yes”. Sometimes “no” is the easy way out when asked to do something we’ve never done before. When we say yes and stretch outside our comfort zone, we learn and grow. 9) Be KIND to yourself. It’s easy to judge ourselves without understanding why we can’t accomplish what others do. Often we compare our imperfection to someone else’s perfection, not realizing their circumstances or the time and effort they’ve put into perfecting this skill. Because we’re usually striving to be a better person, it’s difficult to accept our own shortcomings and mistakes. It’s important to be the best you can be, while forgiving yourself and learning from your mistakes. 10) Let go of what you can’t control. A lot of energy, time and emotion can be wasted on things out of our control. Progress is best made by focusing on what we can control. 11) Stay away from drama and negativity. I usually avoid this by not listening to talk radio or watching much television, but I don’t stay away from people I care about because they are going through a rough time which is causing them to be negative. 12) Love. There’s a difference between love of self and an excessive love of self. A balanced love encourages us to love others equally. I undoubtedly cross over the line sometimes, but try to be aware of it. I know I’m happiest when giving genuine love to other people and realize that’s when I feel the most loved. Communication is the key to a successful appointment. Have you ever been frustrated when the doctor leaves the room because you forgot to give him or her some important information? Do you think of questions you regret not asking—leaving your doctor’s office dissatisfy? Your relationship with your doctor should be a partnership. The better you are able to communicate your needs and understand your options, the more productive your appointment will be and the more likely you are to get the necessary treatment. 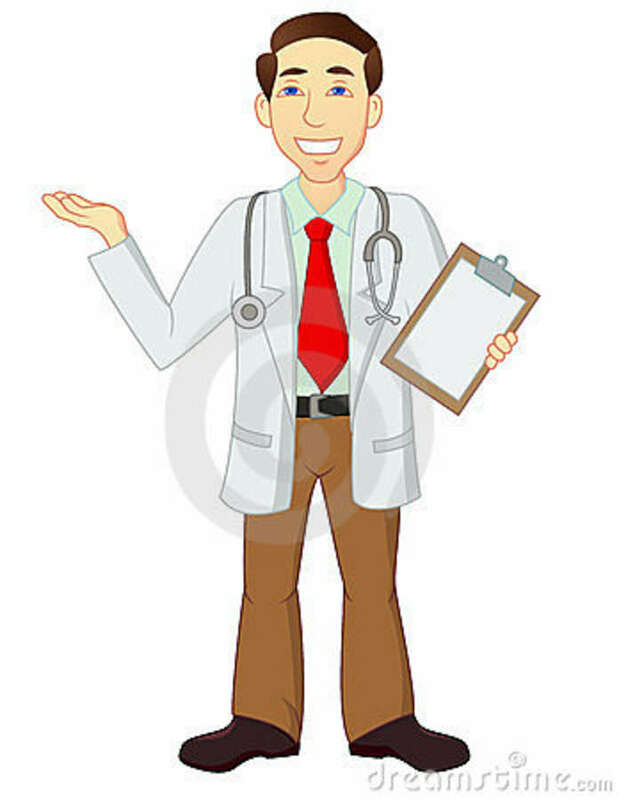 The time you have with your doctor is brief—if you’re lucky you get fifteen to thirty minutes. Preparation will help you make the most of your appointment—and that anxious moment in the exam room as you wait for the doctor to arrive is not the best time to begin preparing for your visit. I’ve listed some steps I like to take before seeing the doctor. 1) Write down all your symptoms, noting when they started and whether they get worse at certain times of day or in certain situations. The more accurately and completely you can describe your symptoms, the more likely it is that your doctor can identify your health problem and prescribe an effective course of treatment. 2) Research your symptoms. The more you learn about the possible causes of your symptoms—and what your treatment options may be—the better equipped you’ll be to discuss your care with your doctor and understand his or her instructions. 3) Write a brief outline of your medical history, and list all medications you’re currently taking. Always keep a copy of the history and medication list to use at future doctor appointments. 4) Learn all you can about the procedure. If you’re likely to need a medical procedure—whether surgery or a diagnostic test, such as a colonoscopy or mammogram—before your visit learn all you can so you’ll understand your options and be able to discuss them intelligently. 5) Make a list of questions to ask. When the doctor sees you have a list, he or she realizes you’re prepared and will want to make sure they have covered everything on your list before leaving the room. When you go to your doctor’s appointment equipped with the above information, I’ve found it’s easier to lead the conversation and get the most out of the visit. The best part—the doctor will appreciate you coming prepared.